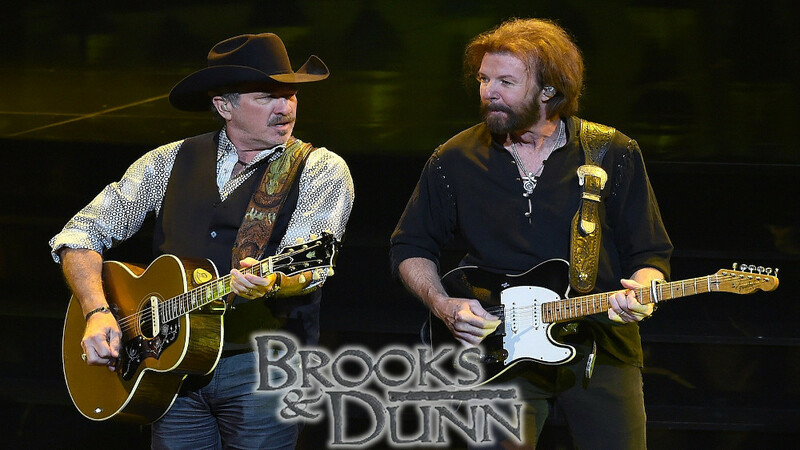 Brooks & Dunn was an American country music duo consisting of Kix Brooks and Ronnie Dunn, who were both vocalists and songwriters. The duo was founded in 1990 through the suggestion of Tim DuBois. Before the foundation, both members were solo recording artists. Brooks wrote songs for John Conlee, Nitty Gritty Dirt Band and Highway 101 and released a solo album for Capitol Records; both he and Dunn also charted two solo singles apiece in the 1980s. Signed to Arista Nashville in 1991, the duo recorded ten studio albums, one Christmas album and three compilation albums for the label. They also released fifty singles, of which twenty went to number one on the Hot Country Songs charts and nineteen more reached top ten. Two of these number-one songs, "My Maria" (a cover of the B.W. Stevenson song) and "Ain't Nothing 'Bout You", were the top country songs of 1996 and 2001, respectively, according to the Billboard Year-End charts. The latter is also the duo's longest-lasting number one, at six weeks. Several of their songs have also reached the Billboard Hot 100, with the number 25 peaks of "Ain't Nothing 'bout You" and "Red Dirt Road" being their highest there. Brooks & Dunn also won the Country Music Association Vocal Duo of the Year award every year between 1992 and 2006, except for 2000. Two of Brooks & Dunn's songs also won the Grammy Award for Best Country Performance by a Duo or Group with Vocal: "Hard Workin' Man" in 1994 and "My Maria" in 1996. All but two of the duo's studio albums are certified platinum or higher by the Recording Industry Association of America; their highest-certified is their 1991 debut Brand New Man, which is certified sextuple-platinum for shipments of six million copies. 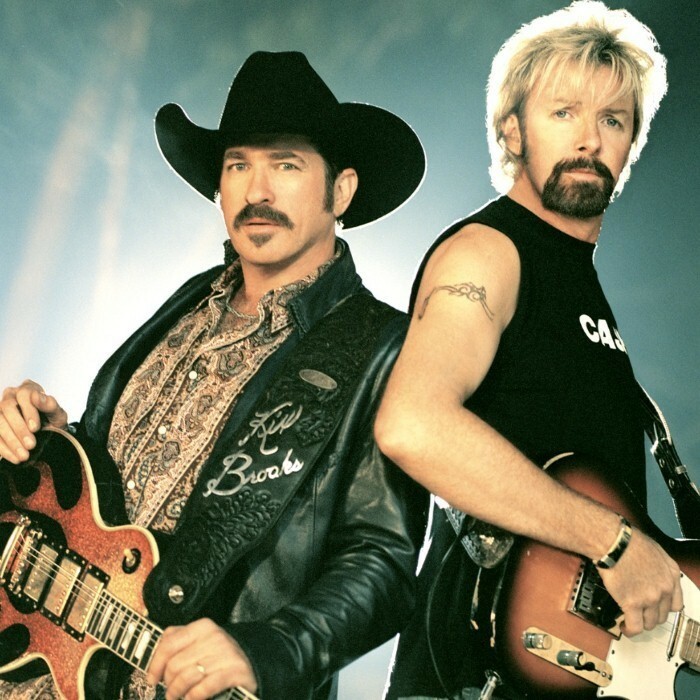 The duo's material is known for containing influences of honky-tonk, mainstream country, and rock, as well as the contrast between Brooks' and Dunn's singing voices and on-stage personalities, although some of their music has also been criticized as formulaic. Their 1992 single "Boot Scootin' Boogie" helped re-popularize line dancing in the United States, and 2001's "Only in America" was used by both George W. Bush and Barack Obama in their respective presidential campaigns. Brooks & Dunn has collaborated with several artists, including Reba McEntire, Vince Gill, Sheryl Crow, Mac Powell, Billy Gibbons and Jerry Jeff Walker among others. 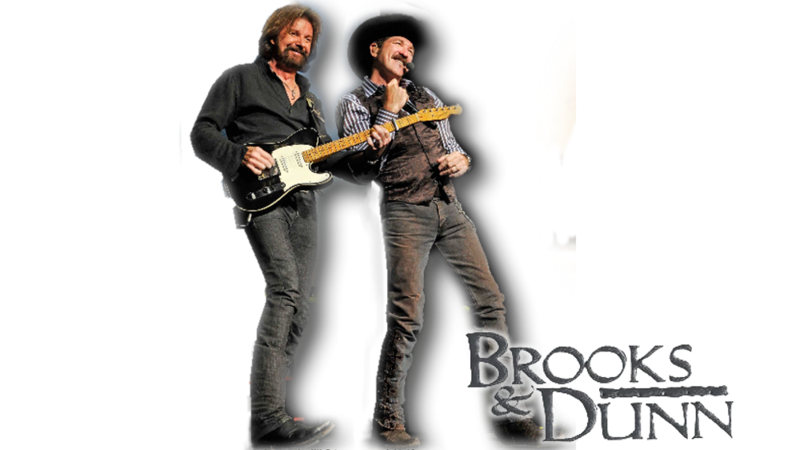 Brooks & Dunn announced their retirement in August 2009 and performed their final concert on September 2, 2010 at the Bridgestone Arena in Nashville, Tennessee. Both Brooks and Dunn have continued to record for Arista Nashville as solo artists. Dunn released a self-titled album in 2011 which included the Top 10 country hit "Bleed Red", while Brooks entered the Top 40 in mid-2012 with "New to This Town".